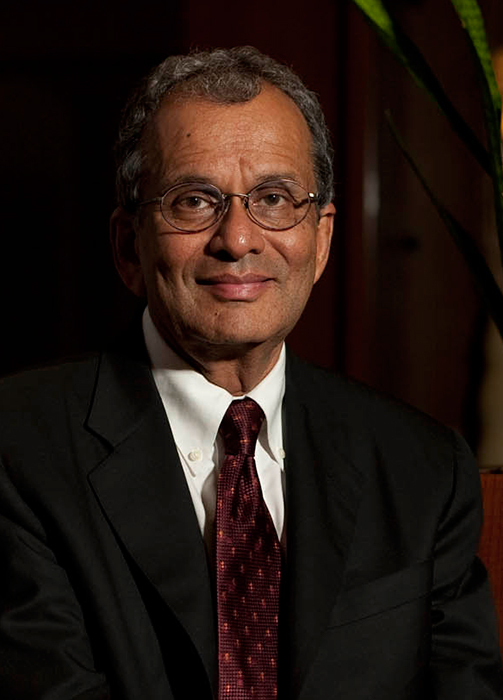 Sudhir Amembal is Chairman and CEO of Amembal & Halladay. He began his professional career in lease education, consulting and publications by co-founding the firm in 1978. Amembal & Halladay is the world’s most highly respected training and consulting firm in the field of equipment leasing. The firm has trained over 80,000 leasing professionals throughout the world. Mr. Amembal has conducted technical presentations on leasing in over 80 countries. As a government advisor, Mr. Amembal has spearheaded lease consultancy engagements conducted on behalf of over 20 governments including China, Indonesia, Korea, Nigeria, and Russia. These engagements required him to review the overall leasing industry in each country and devise strategic recommendations to facilitate the growth of the industry. He has authored or co-authored 16 books on leasing, including Winning With Leasing; Operating Leases: The Complete Guide; International Leasing: The Complete Guide; The Handbook of Equipment Leasing; Lease Securitization; A Guide to Accounting for Leases; and, A Guide to Captive Finance Company Equipment Leasing. He is in the midst of authoring his 17th publication, which will be available in early 2019. He has appeared as a keynote speaker at numerous domestic and international conferences. He has addressed conventions held by all four of the global regional associations – African Leasing Association, Asialease, Leaseurope, and the Latin American Leasing Association. He chaired each of the annual World Leasing Conventions from 1993 until its discontinuance in 2013. Currently, he is the co-organizer and chair of the annual China Leasing Forum. In 2016, Mr. Amembal was inducted into the Equipment Finance Hall of Fame by the Equipment Leasing and Finance Association (ELFA), U.S.A. The honor is bestowed on those who have made unique, significant and lasting contributions to the equipment finance industry. Mr. Amembal is the first non-lessor to have received this award since the Hall of Fame’s inception. Effective January 2019, Mr. Amembal will serve on the Board of Directors of the Certified Lease and Finance Professional (CLFP) Foundation in the U.S.A., the organization which awards CLFP credentials. Since January 2018, he has served as the Chief Advisor to Juxin International Leasing Co., Ltd., a prominent independent leasing company soon to be the first leasing company to issue an IPO on the Shanghai stock exchange in China. Since 2015, he has served in a similar capacity with CMIG Leasing Group, one of fastest growing independent leasing companies in China. He is member of the Board of Directors of Operadora de Servicios Mega, one of the most entrepreneurial independent leasing companies in Mexico. For a period of five years from 1997 to 2002, he was Chairman of Amembal Capital Corporation, a middle market leasing company. Prior to 1978, he was a member of the faculty at the College of Business, University of Utah prior to which he worked with Ernst & Young in New York City. He has a Bachelor of Commerce from the University of Bombay, an M.B.A. from the University of Utah and is a CPA qualified to practice in New York.